Less than an hour from Auckland city you will find one of New Zealand’s most picturesque destinations. 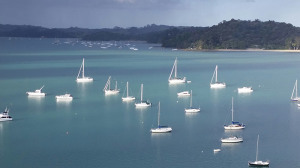 Between Auckland city and Northland is 1500 square kilometres of rolling green countryside with stunning beaches, native bush, exotic islands, sheltered harbours and coastal reserves, walking tracks, beautiful regional parks, boutique vineyards, friendly towns, villages, cafes, restaurants and markets. The Matakana Coast area offers everything from a traditional Kiwi beachside holiday, to a day out wine-tasting at one of the many vineyards. Matakana Village itself is a small town in the Rodney District of New Zealand. Warkworth is about 9 km to the south-west, Snells Beach the same distance to the south, Omaha is about 7 km to the east, and Leigh is about 13 km to the north-east. The area surrounding Matakana contains several vineyards and is well known for its farmers’ market, cinema, cafes, restaurants and boutique food shops. 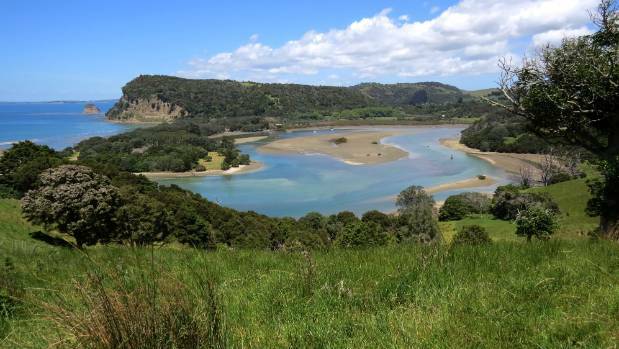 As word has spread of Matakana as a lifestyle location and weekend getaway for many Aucklanders, so too has its popularity, transforming Matakana Coast & Country into one of New Zealand’s hottest new holiday destinations. Mahurangi West, on the Matakana cost is about 5 kms from Puhoi, the gateway to the Matakana Coast and about a 30 minute drive to Matakana Village. Mahurangi West is a peaceful retreat from the hustle and bustle of Matakana and is only a 10 minute drive from Ransom’s Winery. We offer luxury bed and breakfast accommodation and have excellent walking tracks through the Mahurangi Park and along the coast. Call us on 09 4220521 for more information about the B&B accommodation at Mahurangi West Wing or go to our reservations page to make a booking. It’s appropriate that mahu rangi means gentle or healing sky, for the southern hills of Mahurangi Harbour are where my heart and home are. I know and love its many-faceted features of sea, sand, stone, beach, bush and bird. On these hills, around the harbour’s rocky edges and along its string of beaches, I walk for an hour or two most days. On weekdays Chorus, the neighbour’s dog, keeps me company and on weekends Sam, my man, and I pack a knapsack with sandwiches, water, beer and chocolate, and discuss the tide and weather before deciding which of the many walks to take. We fell for this area when we drove down Mahurangi West Rd one Sunday afternoon in 2000. The road runs along the ridge, curvy and undulating, hugging the contours of the land. The scenery from both sides is magnificent. Northland’s soft green hills unfurl to the north, with Mahurangi Harbour’s pewter fingers weaving between them. On cloudy days the wide view is dotted with sunbursts and patches of dark shadow. Careless, infinite blue marks clear days and the sea is variously aqua, cobalt and silver. We were entranced and, within months, bought a hectare of land, sold our villa in Auckland and Sam began building our Mahu house. It’s still being built, but that’s another story and we live in it, regardless. The ridge road, 5.9km to the Ngarewa Dr turn-off and a further 2km to Mahurangi Regional Park, is more stunning walked than driven. But, be careful, there’s no footpath and cars can belt along, especially at weekends. The road ends at the gate of Mahurangi Regional Park. To the north, within the park, Sullivan’s Bay has a campground and car park. Here, folk need only carry their folding chairs, chilly bins and picnic baskets a few metres from the car to the shade of scarlet pohutukawa edging the beach. For those for whom walk means a gentle stroll, the beach is a sandy 400m and, except when a northeasterly blows, soft little waves make it a pleasant swimming spot. But Te Muri Beach, just a little south, marks the beginning of my favourite-in-the-world walk; a loop along the beach, around the point to Wenderholm, up the Puhoi River and over the ridge back to Te Muri. This takes three to four hours, depending on dawdling. Te Muri is like a hidden paradise because it has no road access, and all those people with picnic stuff and beach toys don’t come here. The estuary can only comfortably be crossed within three hours either side of high tide so forward planning is needed. It’s 400m down the hill to the estuary and the water is only a few metres wide at low tide. We step on to Te Muri and, here, stream meets beach, beach meets sea and sea meets sky. We relish the wide, open freedom of a beach to ourselves. We swim and paddle in crystal shallows and shoals of little fish seem, at first, to be sun patterns in ripples. At the south end of the beach oysters grow on rocks. Black oystercatchers, red twiggy legs and long red beaks, are already feasting. We continue south, walking the rocks between sea and cliffs. Around the point is the Puhoi River, which can’t be waded across even at low tide. Following the river inland, we head north where a farm track makes itself obvious on the hillside. At the top of the hill, we stop for breath and the view. Te Muri is below us; sea-green meets golden sand, trimmed with pohutukawa red and finished off with green fields. When Chorus keeps me company we take her favourite walk along the bays just inside Mahurangi Harbour. She never tires of this and, though I have walked these bays hundreds of times, I never tire of them. * Scott Point is on the other side of the harbour, still within the regional park and a one-hour drive from downtown Auckland. Here the feature is a restored 1877 homestead built by shipbuilder Thomas Scott. The house is not open to the public, but the gardens are. There’s a pleasant bushy trail along the east side of the point and low-tide walking access to Maunganui Island. 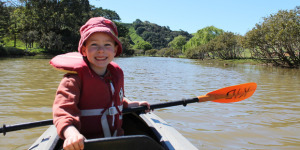 * Scandrett Regional Park is a honey and the newest in the Auckland Regional Council’s treasure chest. 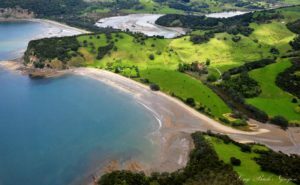 It was the Scandrett family farm and is situated on a sublime finger of land pointing out into Hauraki Gulf between Algies and Martins Bays. The homestead, built in 1884, and associated farm buildings – cream shed, barn and milking shed – are being restored and are historically interesting. There’s a stunning little beach and loop tracks out to the point that, if taken in full, make a pleasant one-hour walk. 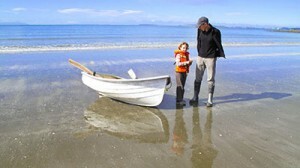 For more information on these walks see www.arc.govt.nz or ph (09) 366 2000. Welcome to Mahurangi West where spring has well and truly sprung. Its a sunny day here with the temperature hovering around 16°, although it does feel warmer in the sun. On my quick stroll down to Tangatu point – although people can’t seem to agree on the spelling – I snapped this photo of “Spot” the lamb in the Mahurangi Regional Park. Granted, it is not a very good photo as I did not want to get too close to the lambs and their mothers, but I did like the spot on his head. 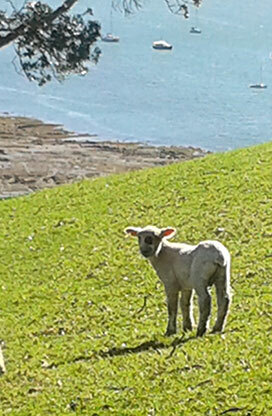 It is always so refreshing to see the new lambs bouncing about; harbingers of a great summer ahead on the beaches of Mahurangi West and picnics at Mahurangi Park.